Connect instantly with prospects looking for life insurance in your area. We offer both live insurance calls and real-time insurance leads and let you decide how many new customers to receive. 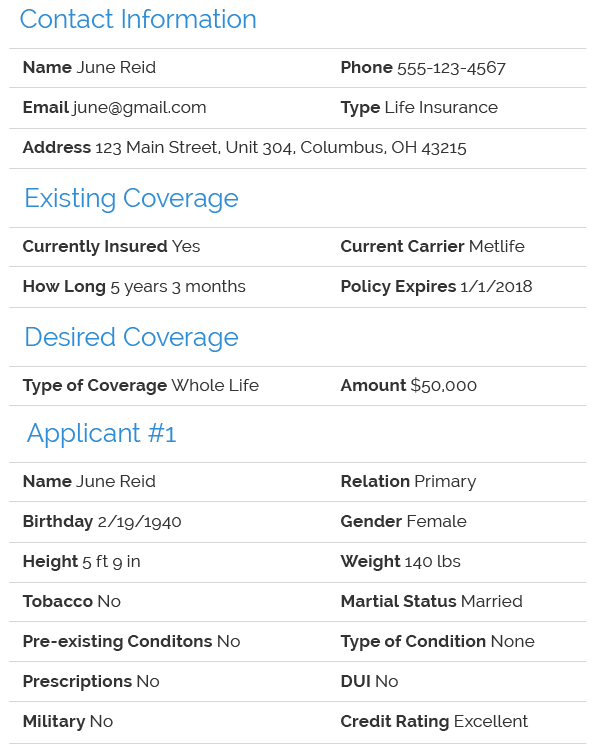 Check out our sample life insurance lead.